The KeyTracker Mechanical Key System is a simple peg-in, peg-out solution for managing keys. All authorised users are issued with unique identifying access pegs, allowing you to quickly asses who has what keys at any given time. With no reliance on power, connections, license fees, or maintenance contracts, these Mechanical Key Systems guarantee full access to authorised users at any time. 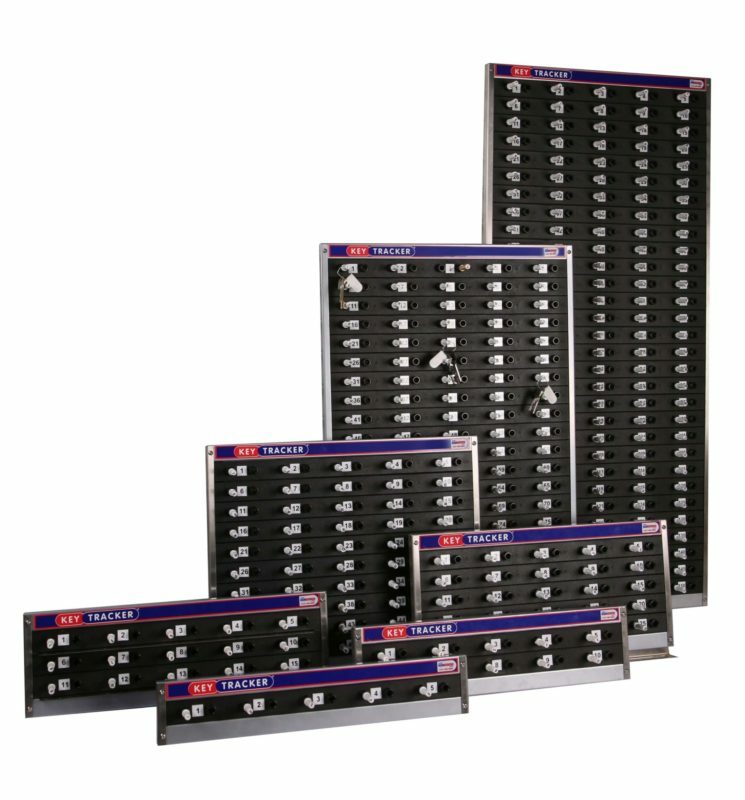 Available in a multitude of different variations and sizes, these units are perfect for any business where secure key retention is required. Each of your keys/bunches will be assigned with a special position on the board, as well as a unique retention peg. The key will maintain this allocated position unless changed by the system’s administrator. Keytrackers Mechanical Key Systems provide you with tamper-proof seals, which are thread through the head of the key, as well as the retaining peg, providing high security key retention. Once the tamper-proof seal has been securely attached, your keys are ready to be locked down to the board. Simply insert the retention peg which you’ve threaded, then remove your unique access peg. Keys can be removed only by reinserting and turning the unique access peg. Once inserted, the access peg will unlock the retention peg allocated to this bunch of keys. Access pegs can be allocated via colour or number, which would be assigned to a specific member of staff. If a key has been removed, and a certain access peg is present, the person who removed the key can be easily identified. If you have any questions, or require more information regarding Keytrackers range of mechanical key management solutions, please don’t hesitate to contact us using the button below. Simply fill out the attached form, and we will get back to you as soon as we can.